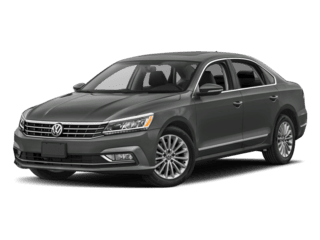 Both the Volkswagen Golf and Volkswagen Passat are award-winning vehicle; the Volkswagen Golf made last year’s “10 Best Cars” from Car and Driver, and the Volkswagen Passat was named last year’s “Best Midsize Sedan” from Cars.com. So, which one is right for you? With fuel economy that exceeds average and advanced touchscreen entertainment, both make great choices. Volkswagen Golf: A 1.8L TSI engine produces 170 hp while earning an EPA-estimated 36 mpg highway/25 mpg city. The automatic transmission is more versatile with available Tiptronic with Sport Mode. Volkswagen Passat: The same engine comes standard on the new Passat, and earns an EPA-estimated 34 mpg highway/23 mpg city. You can also upgrade to a 3.6L V6 engine that generates 280 hp. As you can see, both the VW Golf and the VW Passat offer an excellent array of features that suit a variety of driving needs. Whichever one you choose, you can trust that you’ll be riding in a quality, well-designed vehicle from a trusted manufacturer.